Robert has been with Wren Sterling since 2009. 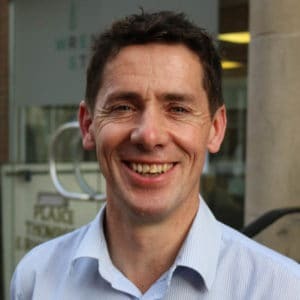 He is responsible for providing ongoing planning advice to a broad range of clients from company directors, SME business owners to personal clients. His particular focus is on retirement planning, succession planning and protection for key individuals and company owners. Robert has 16 years’ experience as an independent financial adviser and has many clients who have been with him for the majority of this period. Through a personalised face-to-face approach he dedicates time to really understand clients’ needs and delivers practical solutions through the creation of a bespoke financial plan. Robert is a Chartered Financial Planner and specialises in helping clients understand their pension plans, enabling them to control their retirement planning.